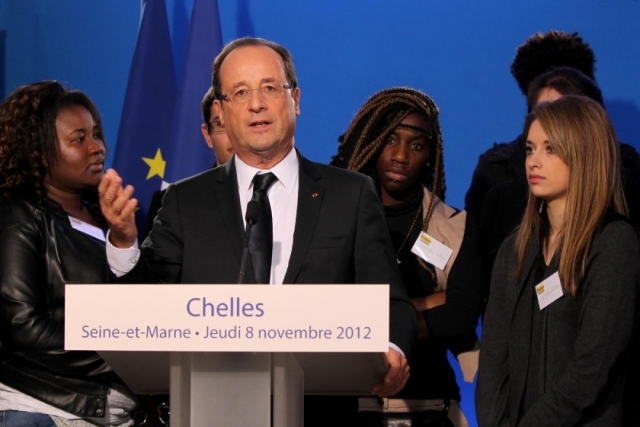 President Hollande brings the youth guarantee to France - Your future is my future - a European Youth Guarantee now! The Party of European Socialists (PES) welcomes President François Hollande’s commitment to tackle youth unemployment with the national implementation of youth guarantee schemes. The French president has presented a proposal that will offer a minimum salary to unemployed citizens without education between the age of 16 and 25. Also, as a first professional experience, young unemployed will get a contract in public and private enterprises with a maximum duration of three years. PES President Sergei Stanishev welcomed the French initiative, stating that; “the implementation of these youth guarantee schemes will not only improve the lives of the French citizens but will also serve as an inspiration for progressives across Europe. It will be an international point of reference of how to successfully turn our European proposal into a national reality. What is more, it will be the conclusive proof that the youth guarantee is as feasible as it is necessary”. Mr. Hollande has also underlined the importance of intergenerational solidarity by the implementation of a ‘generation contract’ that will benefit employees over 57 and young workers with a temporary contract. Other progressive initiatives will be tax subsidies to limit temporary contracts and an increase to the education budget by 2.93%.